Platinum Logical One with white enamel dial. 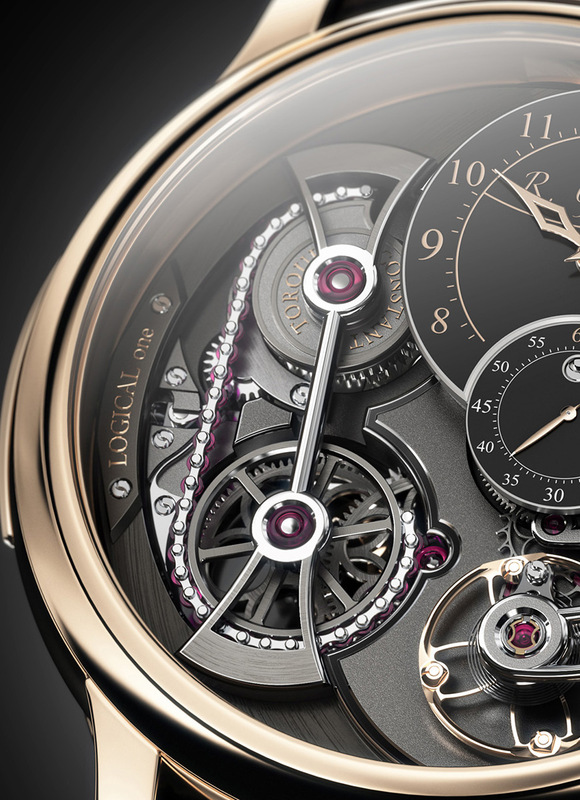 Back in November when we got the list of winners at the 13th Grand Prix d’Horlogerie de Genève, we learned about Romain Gauthier’s Logical One winning the Men’s Complication Watch Prize. This is one of the most exciting prizes, rewarding watches with one or several complications and at this years edition the Logical One had to compete with mechanical wonders, such as the DB28 by De Bethune, or the Inversion Principle by Fonderie 47 that we presented earlier. 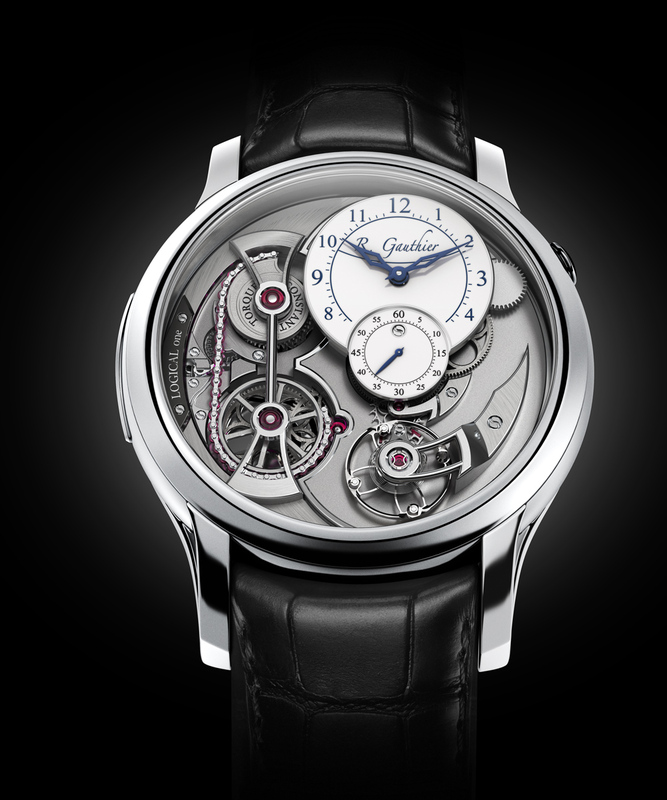 For the entire list of competing watches at this year’s GPHG in the Men’s complication category click here. Before diving into the details of the Logical One to discover all the innovations that made this watch a logical choice for the jury, I would recommend you click on the photos in this article. This is one of those watches that are just as fascinating under a loupe as they are for the naked eye. The vast majority of machines run on constant force: Cars and planes don’t start running slower as fuel runs low and machines receive the same voltage no matter how much electricity is produced. 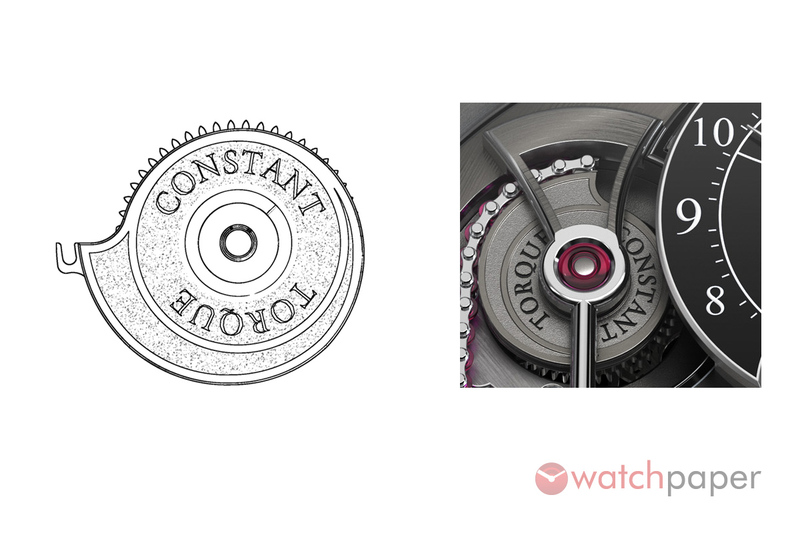 Constant force is one of the holy grails of horology and with Logical One, Romain Gauthier has reinvented the chain-and-fusee − one of the oldest and most traditional methods of supplying constant force to a watch/clock movement − making it both more reliable, more effective… and more constant. 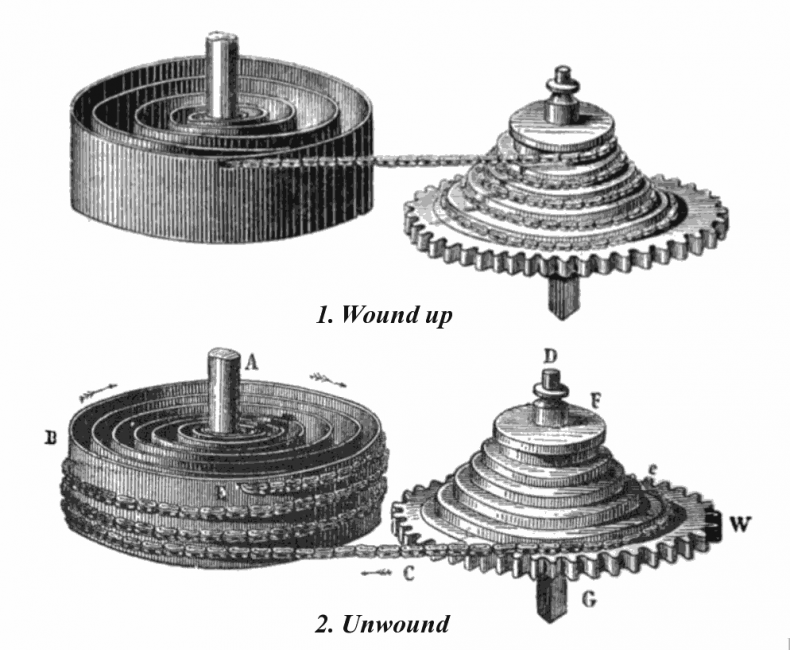 Fusee (the cone-shaped pulley on right) with chain. Photo from Wikipedia. A fusee (‘fusée’ is French for cone) is a cone-shaped pulley wound with a cord or chain that is attached to the mainspring barrel. Fusees have been used since 15th century to improve timekeeping by compensating for the diminishing torque/power of the mainspring as it ran down. Romain Gauthier solved both problems by replacing the fusee with a slowly rotating snail cam, which is situated at 10 o’clock to the left of the hour/minutes dial. As the snail cam and mainspring barrel are on the same level, the force is always transmitted in a straight line and, as only one short line of chain is needed, the links can be bigger and stronger. The chain links are made in synthetic rubies. To further improve efficiency, Romain Gauthier has taken full advantage of the larger chain links by making the links in low-friction hard-wearing synthetic rubies. And there is yet another innovation in the construction of the chain itself. 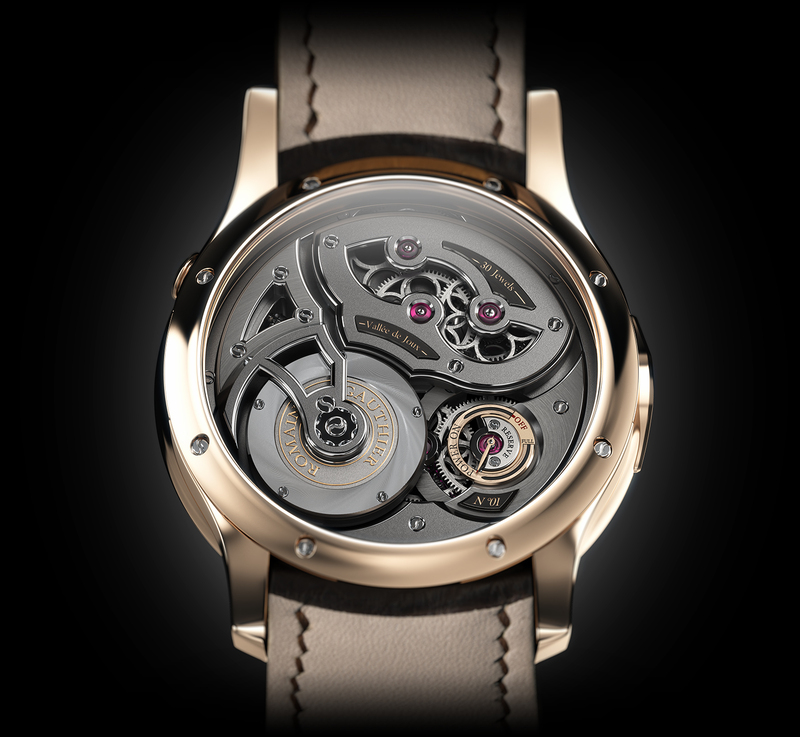 Romain Gauthier has replaced the traditional method of joining chain links, by placing a fine sheet of paper between the links and connecting plates, riveting them together and burning the paper away to create a fine (though imprecise) tolerance, with a snap clip system that offers high-precision, simplicity, reliability and consistency. The push-to-wind solution on the Logical One gives a more robust winding mechanism compared to the traditional crown based winding. Winding Logical One is a pleasure thanks to Romain Gauthier’s innovative push button winding system, with the pusher set neatly into the left case-band. Note the two synthetic sapphire plates covering the mainspring. As the mainspring unwinds in a traditional brass barrel, the metal of the spring scratches the metal, even when freshly greased. Over time, grease clots, scratches get rougher, the barrel sticks to the spring and does not rotate smoothly. 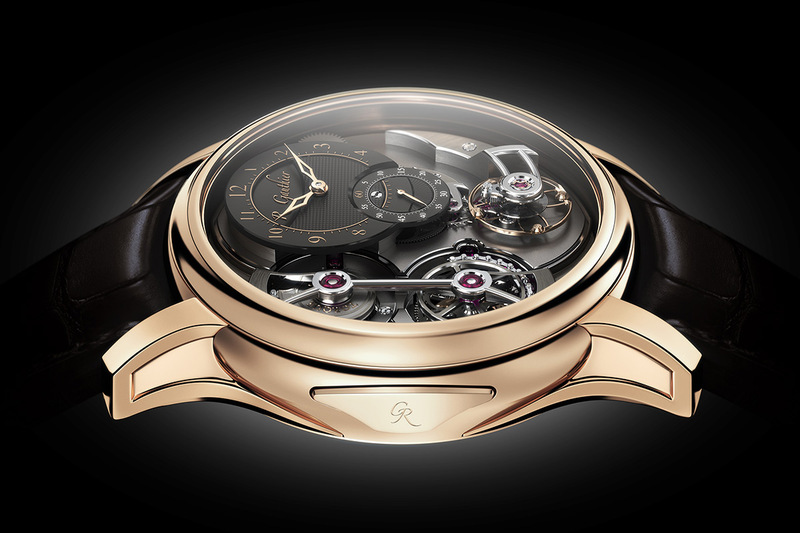 To eliminate this potential source of uneven friction, Romain Gauthier has placed mainspring of Logical One between synthetic sapphire plates. 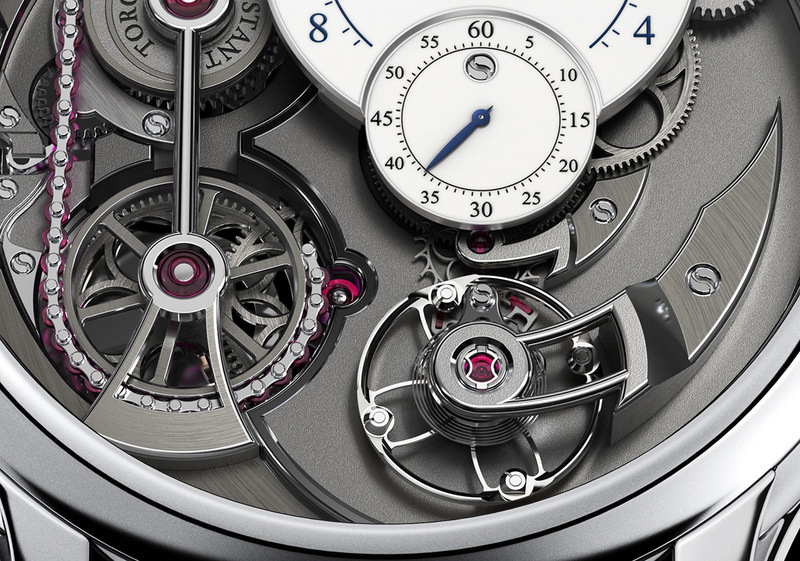 Sapphire has the ideal properties of having a low coefficient of friction with steel − why watch movements have ruby bearings – and is highly scratch resistant – why it is used for watch crystals. Triangular pallet lever (Romain Gauthier invention) for improved rigidity. The movement for Logical One was entirely conceived, developed, designed, produced, decorated, assembled and regulated by Manufacture Romain Gauthier. Highly polished sharp internal bevelled angles in the movement plates and bridges are the hallmark of superlative hand finishing because, to date, machines are not capable of milling and polishing sharp internal bevels. With Logical One, Romain Gauthier has gone a step further still in creating double-angle bevels with sharp internal angles, which give the effect of border. This distinctive eye-catching hand finish, created by using a two parallel bevels, has a similar effect to that of a frame around a beautiful painting, in that the frame highlights the artwork within. Features: hours, minutes, small seconds, 60-hours power reserve, push-button winding and innovative chain-and-fusee style constant force system. Strap and buckle: alligator leather hand-stitched in Switzerland with pin buckle in metal to match the case. Highest level haute horlogerie finishing, including hand polished screws and jewel countersinks; hand bevelled and polished bridges and plates. Romain Gauthier was born in 1975 in Le Sentier, in the picturesque Vallée de Joux, at the heart of fine Swiss watchmaking. It was there that he developed a passion for traditional haute horlogerie blended with clean, contemporary design and innovative micro-engineering. 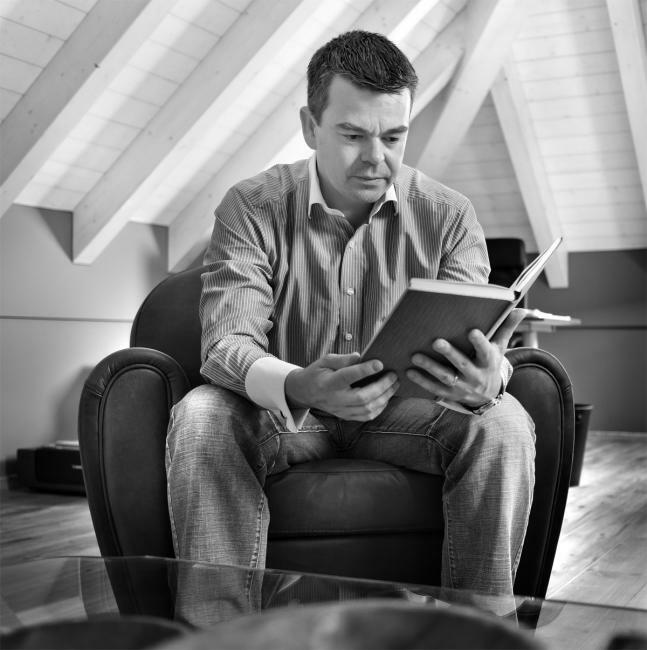 After studying precision-mechanics, Romain gained a diploma as a constructor of precision machinery. In 1997, he started his first job as machine programmer/operator and over the following years, Romain managed and grew the department into one of the best – equipped and most efficient production facilities in Europe. Determined to create his own watch brand, Romain completed an MBA in 2002. His final thesis – passed with distinction – was the business plan for Montres Romain Gauthier. He then began work on the timepieces themselves. “I knew that a good movement was the basis of everything I planned to build, so I started with that.” In 2005, after three years of working in secret, Romain launched his brand in Baselworld 2007 with the Prestige HM, featuring his own in-house manufacture movement. The Prestige HMS followed in 2010 and Logical One in 2013.